"However, this bottle was not marked 'poison,' so Alice ventured to taste it, and finding it very nice, (it had, in fact, a sort of mixed flavor of cherry-tart, custard, pineapple, roast turkey, toffy, and hot buttered toast,) she very soon finished it off." Somewhere along the evolutionary timeline of baked goods, scones became bloated and mealy and cookies swelled to epic proportions. It's the fault of those coffee places, Starbucks and its ilk, who display fattening, coffee-cake things and shoe-box-sized brownies that cost five bucks a pop and pack as much flavor as a dry kitchen sponge. If you're going to treat yourself, treat yourself for real, and head over to the Santa Rosa Junior College Bakery Cafe, the working classroom/business in the SRJC culinary program's new Brickyard Center location. Every school day, students bake and sell their practical curriculum to the general public. Their scones are rich, buttery, and modestly sized. Their muffins are not on steroids. Being made by students, not everything looks note-perfect, but the taste comes through. Plus, everything is staggeringly cheap (e.g., $1.25 for a fruit galette). Hopefully, this will spawn a generation of SRJC-bred bakers who will go out into the world and make cookies, rolls, and pastries the way they were originally intended to be: full of flavor. (Shown: Instructor Cathy Burgett and students Ben Symons and Julia Lancer.) 458 B St., Santa Rosa. 707.576.0297.--S.B. Andresen's Tavern has been open since Petalumans regained the constitutional right to belly up to the bar in 1934. One thing you can say about Andresen's, family-owned for three generations, is that it's an old-fashioned, friendly place, where locals of different generations mix at tables or play liar's dice at the bar. Another thing you could say is, they sure are nuts about the Second Amendment. On the wall are enough antique firearms--rifles, muskets, handguns--to fight the War of 1812. From the opposite wall, one is studied by the glassy eyes of long-ago slaughtered buffalo, deer, antelope, armadillo, moose, bobcat, mountain lion--29 in all, including, of course, the jackalope. 19 Western Ave., Petaluma. 707.762.6647.--J.K. Of all the few hundred places in downtown Santa Rosa to get coffee, the smallest is the best. Not only is Centro Espresso's house coffee (the custom-roasted Ecco Caffé) the most complex and alluring bean juice around, but the service is always incredibly friendly. Susan Koshow, Centro Espresso's owner, is there tending the espresso works most of the time, and she will remember a name and a preferred coffee drink after a mere second or third visit. The rotating cast of barristas are always equally pleasant--and they all make pretty, marbled designs in the foam of steamed milk drinks, sort of like the way some bartenders will trace shamrocks in the head of a pint of Guinness. It's those touches that make tasty beverages tastier. Additionally, Centro doesn't have brewed coffee--the house coffee is an Americano. All coffee beans should meet such an end. 733 Fourth St., Santa Rosa (in Sawyer's News). 707.542.7449.--S.B. Light and crisply battered on the outside, with steamy, moist and meaty cod inside, the fish and chips at the Old Vic are not only the best around, they come in the company of some of the best pints of British ales around. So maybe the service isn't always the most consistent, but the atmosphere (dark and cozy and as publike as it gets in Northern California) and the clientele (a cross-section of young and old, hip and nonhip, talkative and reticent) make for one of the most genuine and welcoming hangouts in all of downtown Santa Rosa. So order your pints and fish and chips while ye may, for as of March 31, the Vic is history. Where will those of drinking age go to see promising local bands? Where will addicts of full English breakfasts get their weekly grease overdoses/hangover cures? Well, worry about that later. For now, just go and raise a glass to the Vic. 731 Fourth St., Santa Rosa. 707.571.7555.--S.B. David Beatriz, owner and operator of Taqueria Mi Pueblo in Petaluma, has a great smile: sunny and warm, and just a little mischievous. It comes in handy, too. 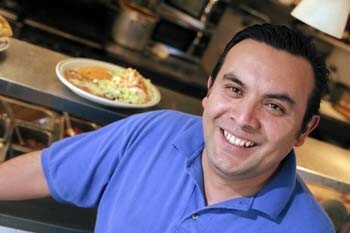 Not one to stand on stuffy formality, Beatriz is the kind of guy who gleefully teases his customers (mercilessly), perhaps by standing over them to stare incredulously as they remove the insides of a taco to eat outside the shell, or to ask if they are lost when they pass on their second trip to the salsa bar. The food may be great, but it does seem that many of the restaurant's regulars have become fervent fans largely because of the owner, who welcomes you as you walk in--and he means it--then proceeds to make fun of your menu choice in the way your favorite uncle calls you funny nicknames. You may find yourself smiling, too. 800 Petaluma Blvd. N., Petaluma. 707.762.8192.--D.T. Though the Underwood has just appeared on the scene to challenge Lucy's dominance in the knock-down, drag-out fight for the best cocktails in West County, we still flock to the downtown Sebastopol establishment to quench our (seemingly endless) thirst for fancy drinks (the fact that Lucy's is walking distance from home, while the Underwood requires getting in the car, compounds our love for Lucy's). Friendly faces, the warmth of the brick ovens, and the sweetness of a maraschino cherry in a whiskey sour keeps us going on those Friday nights when the workweek seems to have dragged us into oblivion. A brisk margarita does the trick. Or a sidecar, or a mojito, minty-fresh, in the summer months. Or all of them, if oblivion is truly the goal. 6948 Sebastopol Ave., Sebastopol. 707.829.9713.--D.B. Well, former facility. For two years. But still. . . Adjacent to Bartholomew Park Winery's tasting room is a small museum with a comprehensive exhibit that details viticultural practices and the history of the winery and the surrounding area. Back in the corner, an interesting chapter is told from those, you know, simpler, less hurried days of yesteryear. The tasting room was built in 1922 as the hospital for the new State Farm for Delinquent Women. Supported by the League of Women Voters, the "farm" was a socially progressive project intended to bring "fallen women" and narcotics fiends from urban prisons into the fresh country air for rehabilitation. From the beginning, locals scorned it, and the Sonoma Index-Tribune regularly inveighed against this "soft nest for women politicians and hard-boiled delinquents." At first, just one inmate was interred at the main house. But the solitary delinquent requested to be transferred to the county jail, complaining to the judge, "What awful, narrow-minded people are in the beautiful Sonoma Valley." After the population climbed to 65, a few "riots," and much editorializing against "sisters of sin," the facility burned down under mysterious circumstances in 1923, never to be reopened. The "women theorists and job chasers" had had their day, and there was much gloating in the Valley. 1000 Vineyard Lane, Sonoma. 707.935.9511. Museum is free but tasting costs $3.--J.K. The main attraction at Juanita Juanita in Sonoma is the hearty and semiauthentic Mexican food, of course, but a playful setting is always a plus, especially for those dining solo or with kids. The decor--a pastiche of roadhouse-gone-pastel--is quirky and welcoming. Plus they keep tumblers stocked with dog-eared Trivial Pursuit cards at the counter, as well as an armada of bottled hot sauces in varying degrees of searingness. Take note when you get your bill--they're always written on the backs of old wine labels. (Also note that a hearty bowl of beans con todo, at a mere $5.50, is one of the best lunch deals around.) 19114 Arnold Drive, Sonoma. 707.935.3981.--S.B. It is sometimes possible to buy a half-dozen of Donna's Tamales at your local upscale, health-food-oriented supermarket (a Molly Stone, a United Market, or a Whole Foods, for example), but the best place to sample and acquire the tastiest handmade tamales in the North Bay is at the San Rafael farmers market, where the good folks from Donna's--possibly even Donna Eichorn herself--will happily introduce you to the remarkable line of mostly vegan, all vegetarian, totally delicious masa-based delectables. Based in Fairfax, Donna's has essentially re-created the tamale, producing simple variations on the classic hand-held foodstuff from across the border. The tofu and chipotle tamales lead a pack populated by goat-cheese tamales; cheese, chile, and corn tamales; roasted pineapple and plantain tamales; and even just plain corn tamales with no spice or anything, perfect for kids and people looking for an alternative to oatmeal (they make a great breakfast). Check the cart at the farmers market or log on to www.donnastamales.com to find a Donna's tamale seller close to you.--D.T. of tasty delights and premium wines. Just remember that the day will inevitably end, at which point you will be pinked by the sun, tipsy, and full. This year's event takes place July 10­12. www.sonomawine.com.--D.B. Eating snack foods out of grocery-store bulk bins is one of the most gratifyingly evil things to do in this consumer society. It's wrong, it's bad, and it's so, so easy. At a place like Oliver's or a natural-foods co-op, there's a bit of a moral dilemma involved: These places support local producers and don't force their shoppers to use those damned member cards for bogus "savings." But Safeway, they have it coming! Go on, try snatching just one yogurt pretzel or caramel peanut chocolate cluster from the bulk-food bins. Doesn't it feel sooo bad but sooo good? If you ever get caught, just use this line: "Well, the last time I bought whole-wheat fig bars, they were stale, so I thought I should try them out first."--S.B. More tips for the free-food category, only this time it's from a store where they are giving it away for real. Right off the plaza in Sonoma, the Sonoma Cheese Factory has plenty of free samples of their trademark Sonoma Jack, as well as pesto, garlic, habanero, hot pepper, and Mediterranean Jack varieties. And don't forget to check out the smooth-spreading Teleme, which is sort of like the rich man's Cheez Whiz. After an afternoon outing with a book and a beer on the plaza (see Best Public Drinking), a quick trip to the Sonoma Cheese Factory can quell those minor tummy rumblings. They have a deli, too, to quell major tummy rumblings. I brought my cheese-lovin' dad to the Sonoma Cheese Factory once when he was visiting, and I swear it was the highlight of his visit. You can't keep the old man away from free cheese for long. 2 Spain St., Sonoma. 707.996.1931.--S.B. are not that formal there. 869 Fourth St., San Rafael. 415.721.0392.--D.T. Even on the most humid and buggy of nights, you can eat outdoors at Topolos Russian River Vineyard Restaurant and Winery without getting bitten. Thank the 3,000 or so bats that make their home in the eaves of the winery's roof. Each night, each bat eats about 5,000 insects. If you're not consciously looking for them, you won't even notice the bats. But there are plenty of people who ask for patio seating specifically to catch a glimpse. Other visitors simply park in the parking lot at dusk to watch the winged insect-control battalion fly out from the winery roof. So many come out on warm, summer nights that enthusiasts refer to it as the "bat launch." But you can also see some in the spring and fall. Of course, despite the bats, Topolos is still best known for its wonderful Greek-inspired food, and its wine. Do we even have to mention that the wine grapes are grown without any need for insecticides? 5700 Gravenstein Hwy. N., Forestville. 707.887.1562.--M.W. Many people probably never develop a taste for single malt scotch. If you have or are willing to cultivate one, you'll find it's a lot like wine. The region, the barrel, and the aging all have an effect on the flavor. Some like it peaty; others, tangy. Some like Sheep Dip. But the good stuff may set you back $50. As for scotch tasting? There are two known choices: (1) Get on a plane, go to Scotland; (2) go to the Equus Lounge. Located in the Fountaingrove Inn, Equus is an '80s executive-chic hotel bar, the interior cast with a David Lynchesque glow. It's both one-of-a-kind, with the signature horse-of-a-feather bas relief above the bar, and an anonymous hideaway. The beverages in question glow like gold. The best way to get acquainted with some of the 58 single malt scotches on hand is to get the sampler. For $10 to $15, the sampler is a mix-and-match selection of Highlands, Lowlands, and Islands malts. With names like Glenkinchie and Laphroaig, it's best to first try and pronounce, then sample the malts. 101 Fountaingrove Parkway, Santa Rosa. 707.578.0149.--J.K. Wine, wine, wine! We are here in the North Bay thronged with wine, inundated, awash, tanked, aswim, adrift. Every now and then, it's a good idea to stray from the vine a bit. Hence: sake! The tasting room at Napa's Hakusan Sake Gardens is a splendid place to become better acquainted with the palette-bracing delights of rice wine--and for those of you whose sake experience is limited to stinky lesser grades of sake served hot, it's quite an eye-opener. The $3 tasting includes five types of sake, from smooth-drinking and dry draft to the crowd-pleasing raspberry-infused sake. 1 Executive Way, Napa. 707.258.6160.--S.B. The testosterone level is a little much--sports memorabilia everywhere, T-shirts stapled to the ceiling covered with scrawled signatures, the cute waitress bringing you your food, etc. But that's the kind of place Mike's at the Crossroads is: a blue-collar man's kind of place that serves green sprouts with its burgers. And what's wrong with that? There's no doubt that Mike's burgers are good, though I don't know if they are "the best burgers west of the Pecos," as the menu brags. But they are thick and juicy with just the right fixings. Simply put, they are everything a burger should be. Only, there are no fries with them. Don't even ask. If you want fries, go elsewhere. Mike feels so strongly about the "no fries" policy, he lists 11 reasons on the menu why he doesn't have them, including "the burger's greasy by itself" and "Mike's too darn lazy to change the grease." The burgers do come with a variety of sides, including several salads and, if you must have your potato fix, chips. 7665 Old Redwood Hwy., Cotati. 707.665.9999.--J.L. This is a tossup between the Rafael Film Center, the Rialto, and the Raven Theater, all of which offer fresh, fresh popcorn and real butter. Of course, to the avid moviegoer, the eating of popcorn is a sacred rite along the lines of Holy Communion. Nothing is as disappointing as being handed a bag of stale popcorn with improperly prepared, artificial butter flavoring. It so happens that those theaters that understand the significance of good popcorn tend to be those which also recognize the necessity of having a clean auditorium floor and the importance of offering inexpensively priced bottled waters and good, strong coffee. They also tend to be those showing the best films. In other words, if you are clutching popcorn in a theater seat while waiting to see Daredevil or Cradle 2 the Grave, chances are good that your popcorn is pretty damn crappy.--D.T. "Nothing says fun like a party!" proclaims Nancy's Fancy's motto--and nothing says "irresistibly tacky nostalgia" like a plastic cake topper. Find Snow White and the Seven Dwarves, little soccer players with goals, sparkly filigree wedding bells, and scary doll torsos on picks to make into those weird doll cakes--all in glorious cheap plastic! Have you ever noticed that while time has moved on into the 21st century cake toppers have remained frozen in the '60s? Here's to hoping it stays that way. Nancy's, besides having a tantalizing array of nonedible cake decorations, is the party headquarters, with a supply of decorations, paper plates and party tableware, party favors, and plenty of supplies for making sweet party treats. 3480 Airway Drive, Santa Rosa. 707.546.2253.--S.B. Shackford's is more on the cookware side than Nancy's, but they have a selection of cake-topper kitsch that easily rivals, if not tops, Nancy's Fancy's. Plus the old general-store feel of Shackford's has a kind of time-travel element to it that's very conducive to the appreciation and purchase of cake toppers. Tiny plastic baby bottles and rattles; mini palm trees and hula dancers; itty-bitty footballs, soccer balls, and baseball bats; and minuscule plastic hot dogs and hamburgers on picks--all right there for about 25 cents each. So a shopping spree can total, say, five bucks! Oh, it is indeed heaven. 1350 Main St., Napa. 707.226.5651.--S.B. Sebastopol's apple groves are a nice change from the acres of grapevines and a reminder that other plants can grow here too. One day, my friends and I stopped at Ace-in-the-Hole Pub on a whim. Just off Highway 116 West, it reminds me of a hardware store on the outside. I kept expecting to see John Deere tractors sitting on the lawn. But inside, you know you're in the right place with the smooth, hardwood benches, bright yellow walls, and dignified bar. We ordered a sampler, where you get to taste all four of Ace's crisp, light beverages in pear, berry, honey, and apple (of course). We liked them so much, we each got a pint along with apple-stuffed sausages, and they complemented each other as well as any wine and French appetizer. 3100 Gravenstein Hwy. N., Sebastopol. 707.829.1223.--J.L. They're a cult sensation. The macadamia nut pancakes, topped with caramelized banana halves, that are offered during breakfast at Jellyfish--the tony and tiny restaurant at Petaluma's new Sheraton Hotel at the Marina--cost 10 bucks a plate. And they're worth it. Suddenly, word is spreading and people are showing up for a hotel breakfast, without bothering to actually sleep there. Which is fine with the people at Jellyfish. The fancy, energetically menued East-West fusion restaurant is obviously a bit out of the way, but the staff is more than eager to show their stuff. Once you've tried the pancakes, you'll want to come back for lunch or dinner. 745 Baywood Drive in Petaluma, just off of Lakeville Highway. 707.283.2888.--D.T. In the early to mid '90s, Evelyn Cheatham operated Tweet's restaurant in Mendocino, and folks still talk about her carrot soup, rosemary scones, potato tarts, and other dishes. Food writer Michele Anna Jordan says Cheatham "has a style that is both robust and delicate, and she could clearly join the ranks of celebrity chefs if she was so inclined." Instead, Cheatham decided to work with troubled youth. She's now chef at Sonoma County Juvenile Hall and is slowly building WOW (Worth Our Weight), a cooking school for young people. For the past 12 years, she has cooked and delivered meals on Christmas day for homeless groups, battered women's groups, children's shelters, and families down on their luck. The meal is not funded by any organization. It's just a labor of love by Cheatham and her friends.--M.W. There has apparently been some dispute over whether this is ultimately a wise indulgence for Sonoma to allow. Please note that drunkenness is not encouraged; relaxing with some quality quaff, however, is. And it's not just wine. Here's the deal: On a sunny day, show up by yourself with a good book, a blanket, and a bottle opener. Go to the Sonoma Wine Exchange. Browse over their many hundreds of fine international beers and buy one (Duvel! Duvel!). Go to the plaza, stake out a comfy tuffet, sit down, and savor the book and the beer, looking at all of the tourist couples and Sonoma teenager kids hanging out. Get hungry and order a Croque Monsieur to go from the nearby Basque Bakery and Cafe. Love life. Between Napa, Spain, and First streets, Sonoma.--S.B. "Would you like some more coffee? Great! Is there anything else I can get you? Tabasco? Sure! Thanks! Have a terrific breakfast!" Oh, to be attended to thus, late on a hungover Sunday morning. It heals and revitalizes. While all of the wait staff at Mom's Boarding House in Cotati are friendly and prompt, one server in particular stands out. She has long, straight brown hair and looks like she could be Dave Grohl's sister (she's probably not). We think of her as Mrs. Grohl. How does she always smile so huge? How does she remember what every table needs, and how does she manage to bring blueberry syrup to diners before they even realize they might need it? Who can say. This woman is a living marvel. We could ask Mrs. Grohl her name, but then she wouldn't be Mrs. Grohl anymore. So, to Mrs. Dave Grohl: You are a tremendous waitress, and you brighten up our days. Thank you! 8099 La Plaza, Cotati. 707.795.3381.--S.B. to meet up and sit around giant, Oliver Twist­style wooden tables, upon which are heaped decidedly non-Twistian amounts of truly great food. Piles of it, served family style, one course at a time. Platters of this will be followed by even larger platters of that. The minestrone is to die for. There's no chance you will eat it all, so doggy bags are commonplace. 3703 Main St., Occidental. 707.874.3555.--D.T. is on Highway 12, just west of Mission Street, Santa Rosa.--M.W. Healdsburg's internationally accessed Sonoma County Wine Library, located in the back of the Healdsburg Regional Library, holds over 5,000 wine-related items of a bookish and research-appropriate nature. Tragically, there is no winetasting at the Wine Library. But for that kind of research, you don't have to go far. Corner of Piper and Center streets, downtown Healdsburg. 707.433.3772.--D.T. The inside of a Cold Stone Creamery (any of them--the whimsical ice cream stores are suddenly all over the North Bay) tends to have the unmistakable, saliva-inspiring scent of a busy cotton-candy vendor. The ice cream is hand-mixed before your eyes on a slab of cold stone (get it? ), with your choice of ingredients lovingly worked into your favorite flavor of ice cream. Be warned though: the Cold Stone crew, by some corporate mandate, always sing silly, boisterous songs every time someone drops a tip in the jar. It's kind of sweet. Which, one supposes, is the point. 2031 Novato Blvd., Novato, 415.898.7900; 301 S. McDowell Blvd., Petaluma, 707.762.1824; 2324 Montgomery Drive, Santa Rosa, 707.578.1811; 6580 Hembree Lane, Windsor, 707.838.1821; 651 Trancas St., Napa, 707.251.3707.--D.T. Nestled on a hillside, in the shadow of wine country hotels and mirrored corporate campuses of Fountaingrove, one of California's most historic wineries continues to rot into the ground, forgotten. Among the premier producers of wine in the late 19th century, Thomas Lake Harris' religious commune lives on only as a namesake. Fountaingrove is now mainly a paradise for developers. But the colorful history of the site has been told so many times--the millennial religious cult, the rumors of scandalous sexual practices, the heir to Japanese royalty who became winemaker--that the most surprising and weirdest story of them all is simply, why the heck are the remaining buildings still going to hell? Let's break this down. Fountaingrove: loads of money on that hill, two major hotels, easy freeway access, smack in the middle of the w-i-n-e c-o-u-n-t-r-y. What am I missing here? Is it the "negative energy vortex" that some local spirit-heads have described? Round Barn Boulevard, off Fountaingrove Parkway, Santa Rosa. Not open to the public. Always use caution when approaching a vortex.--J.K. From the March 20-26, 2003 issue of the North Bay Bohemian.